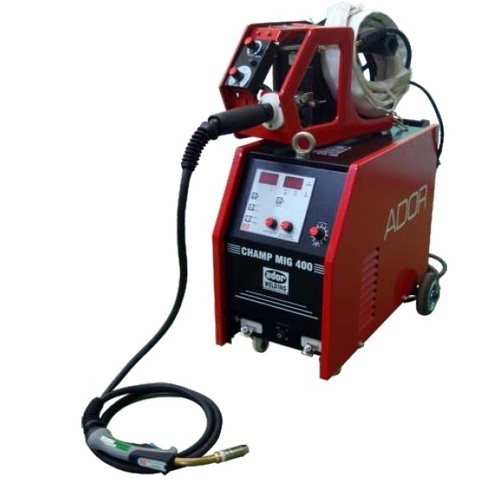 Under the strict supervision of our vendor’s experienced professionals, we are offering a high quality range of Adore MIG Welding Machine. Known for its features like easy to operate, high performance, durability and high quality, this welding machine is highly demanded in the market. The offered welding machine is manufactured at vendor’s end using high quality raw material and latest technology in strict adherence to the set principles of the industry. Established in the year 1994 at Ghaziabad (Uttar Pradesh, India), we “Balaji Welding Centre” are Sole Proprietorship (Individual) based company working under the leadership of 'Mr. Shakun Bansal', engaged in manufacturing and supplying of Flux Cored Welding Wire. These products are manufactured using high quality raw material and latest technology in adherence to international quality standards. These products are highly demanded in the market due to their features like optimum finish, easy functionality, non-corrosive, reliable performance, durability and user friendly. In addition to this, we are recognized as a leading Trader and Supplier of Saw Wire and Flux ,MIG Wire ,Welding Electrode, Welding Machine and Rectifier etc. We procured these products from the reliable vendors of the market.